2018 is in full swing. It’s a new year! So why not get a new roof from Intelligent Design? Your property will look better. Your employees and clients will love the improvement. You’ll save money. You’ll pretty much benefit in every way possible. Our roofers are on call to replace your commercial roof and get you started on the right foot this year. If you’re still wondering if your roof needs replacing, then look for these six signs below. Our roofing company can inspect your current roof to see if any of these symptoms are showing up. 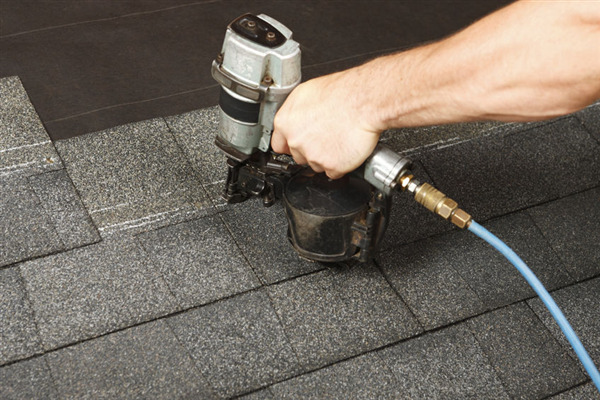 If your roof is not watertight, moisture can invade the building and cause structural damage. High humidity, water stains, and pest infestation could indicate that water is entering through the rooftop, soaking into insulation, and coming down inside walls and along the ceiling. It’s time for a roof replacement from a local Minneapolis roofing company. When there are holes and leaks in your roofing, your heating and cooling system must work harder to maintain comfortable temperatures inside. In Minnesota, plummeting temperatures during the winter can trigger your furnace to work around the clock if your roof is not properly insulated due to damage. Sagging or low spots reveal that a problem that there may be structural weakness below the top surface of the roof. Ponding from standing water may have compressed the roof insulation, or a roof deck joist may be broken. Commercial roofing systems can suffer from this type of damage. Many of the roofs we install are protected by layers that attach at the seams. In older roofs, we find that the seams have come apart. We’ll need to replace the old roofing system with new roofing material and improved seam attachment. Clogged drains are not necessarily a roofing problem. An Intelligent Design commercial roofing contractor can determine what is causing the drains to clog up. There may be standing water on the edge of the drain opening. Ponding could mean that there is sagging around the roof or that there is debris in the drain. We would need to inspect the area to decide if you need a new roof. A roof with no flashing will eventually leak. Rusty or broken flashing could be the result of a hail damaged roof. If so, we’ll replace the old flashing. If there is missing flashing, we need to assess the overall condition of the roofing system. We may need to replace part or all of the roof if it’s suffered from ponding and leaks. When you decide to replace your roof, contact Intelligent Design. Our expert roofers can remove the old roof, and modernize your building with a brand new roof. We offer complete roof restoration from top to bottom. We serve small and large businesses in the Minneapolis and St. Paul, Minnesota area. To schedule an inspection or get an estimate, contact us today at 763-315-0745.